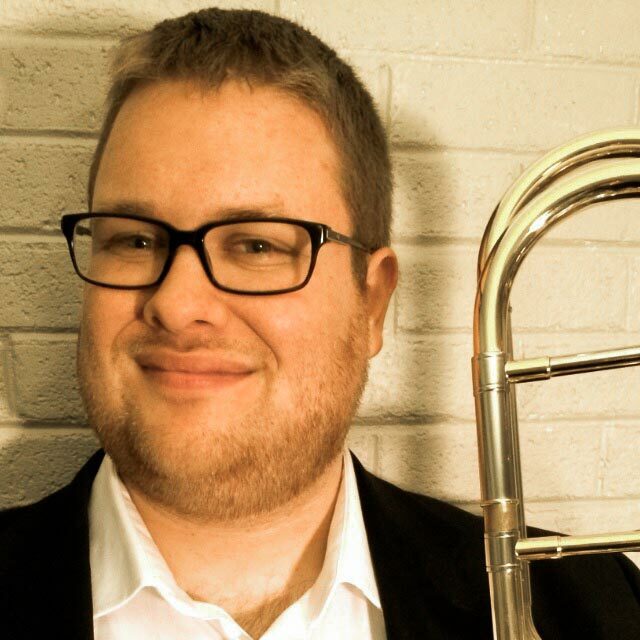 Douglas Rosenthal was appointed Assistant Principal Trombonist of the Kennedy Center Opera House Orchestra/Washington National Opera Orchestra in 2012. Since moving to Washington, he has performed with the Smithsonian Chamber Players, the Post-Classical Ensemble, and the Washington Symphonic Brass. Douglas is also frequently a guest musician with other orchestras, including those of Baltimore, Boston, Buffalo, Chicago, Cincinnati, Cleveland, Florida Grand Opera, Harrisburg, Huntsville, Lyric Opera of Chicago, Music of the Baroque (Chicago), Northwest Indiana, Phoenix, and Utah. In addition to his pursuits as a performer, Douglas is an activist in his community. He serves on the Executive Board of Directors for the DC Federation of Musicians (Local 161-710) and is a delegate to the Metro Washington Council AFL-CIO. He teaches private music lessons and is a faculty member at Levine Music, a music program for all ages and skill-levels in the DC Metro Area. Douglas also runs a blog called Who’s Your Audience?, which discusses the Classical Music Industry as both an art-form and a business.